There are so many extraordinary and fun things to do in Atlanta. The best thing about them is that almost all of them are family friendly and loved by kids! Not to mention, most of the attractions are in one place. Of course, it can take quite a few days to see everything that this magnificent city offers. A great way to experience Atlanta is by getting a CityPASS. Since it’s valid for nine days, you will have plenty of time to accomplish everything on your list. If you’ll be in Atlanta, I want you to SAVE. Grab your tickets and save 40% on Atlanta’s 5 best attractions. Read on to discover the top fun things to do in Atlanta and how the CityPASS is your key to enjoying them all! 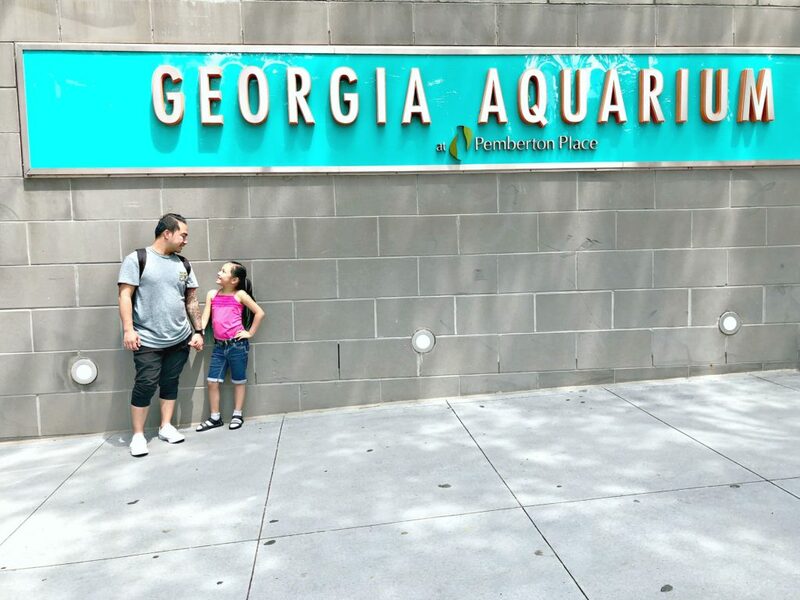 There are hundreds of animals to see at Zoo Atlanta. 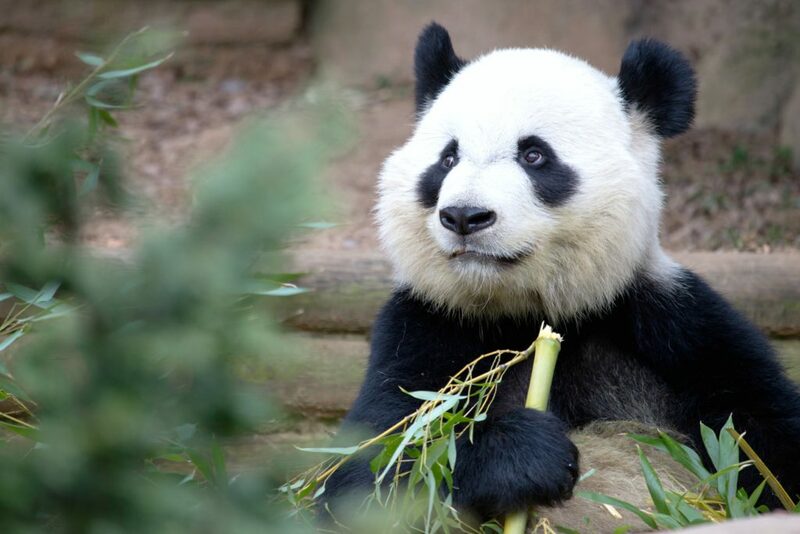 However, the most sought-after ones seem to be the twin Giant Pandas who just turned two years old. The zoo map will make it easy for you to find the Giant Pandas, as well as all the other animals. As you are planning your day, you will want to check out the zoo’s itinerary for the day that you are visiting. You will find special events that include gorilla feedings, vulture talks, and moving around like animals do with music playing in the background. 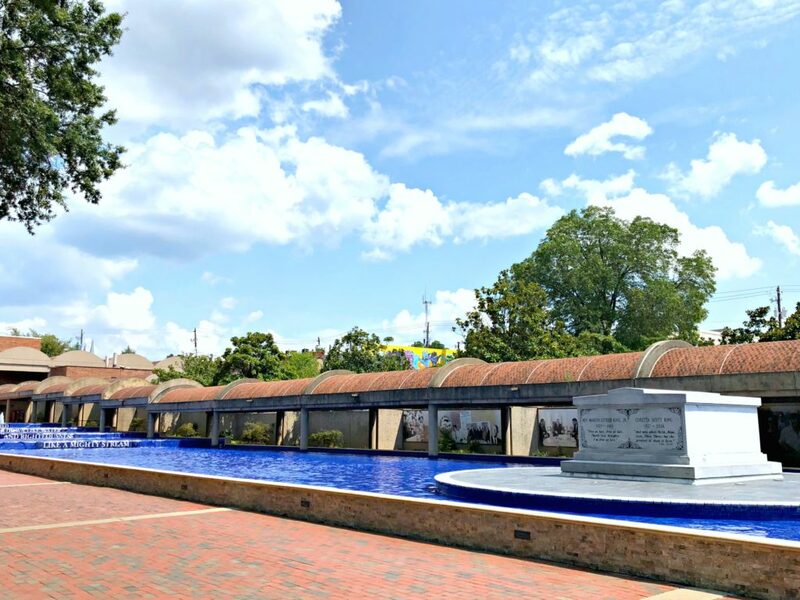 With the CityPASS, you get to choose between Zoo Atlanta or the Center for Civil and Human Rights. 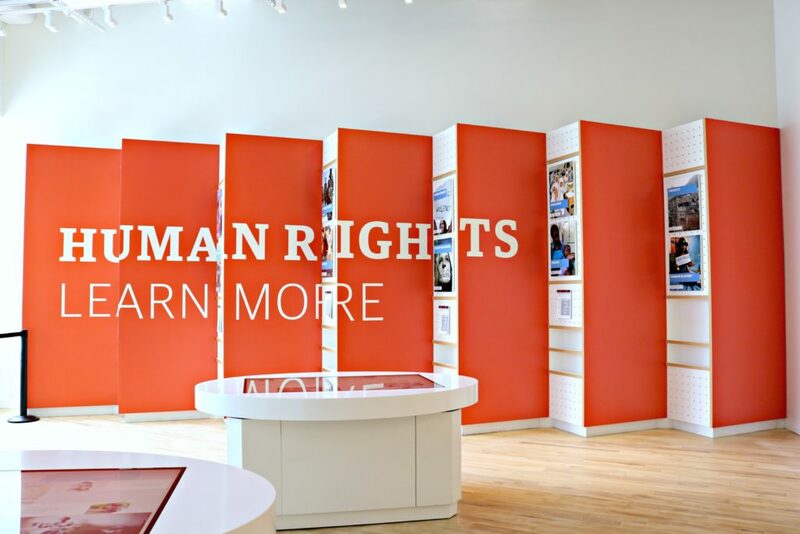 If you can or want to skip the zoo, I highly recommend experiencing the Center for Civil and Human Rights. Be prepared for a moving and emotional day but, it is incredibly worth it. 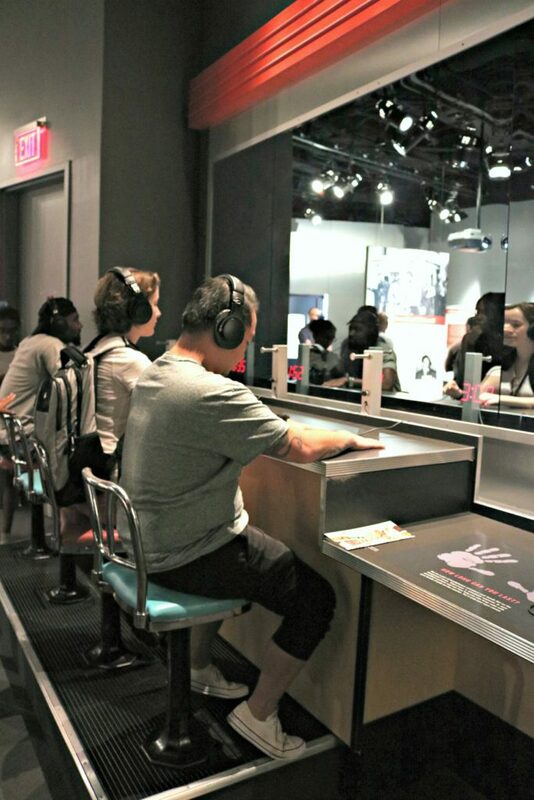 TIP: Try your strength and sit at a mock lunch counter and experience what non-violent protestors did long ago. To be honest, I was very emotional and cried. It was hard to sit there and be attacked, especially for something as simple as sitting at a lunch counter. 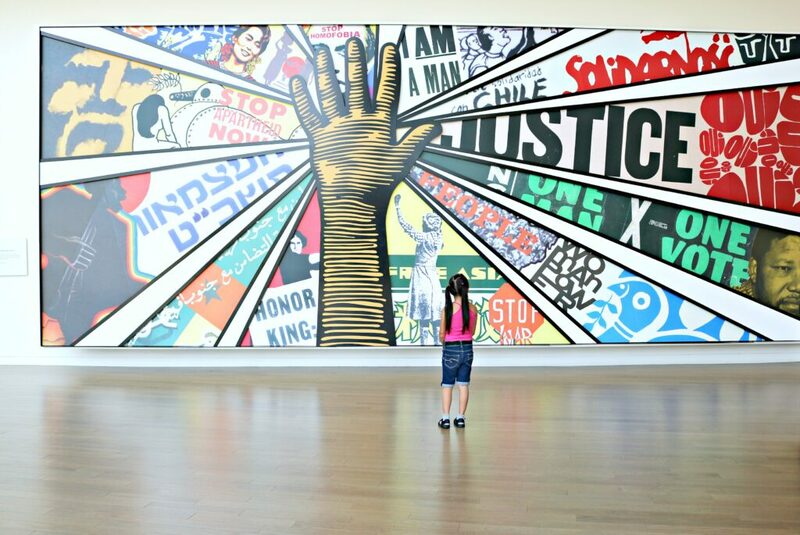 It really is a powerful, powerful, exhibit. 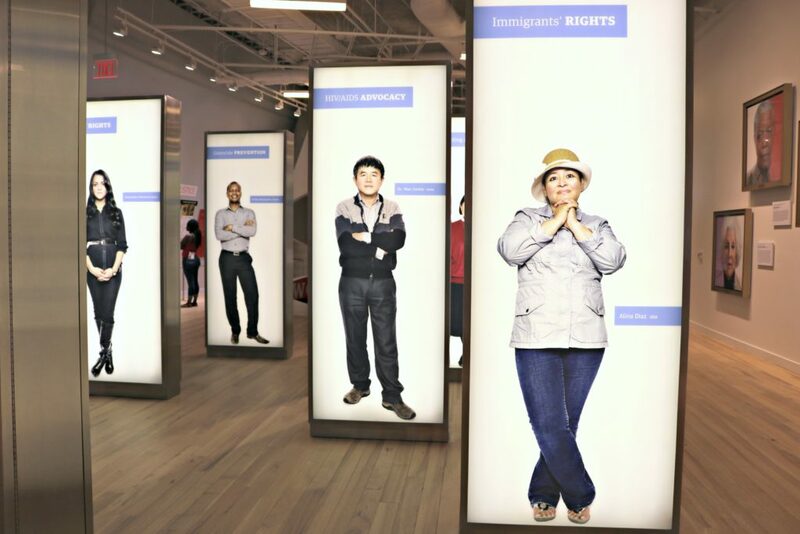 Throughout the whole center, you can find an abundance of facts, information, and history. 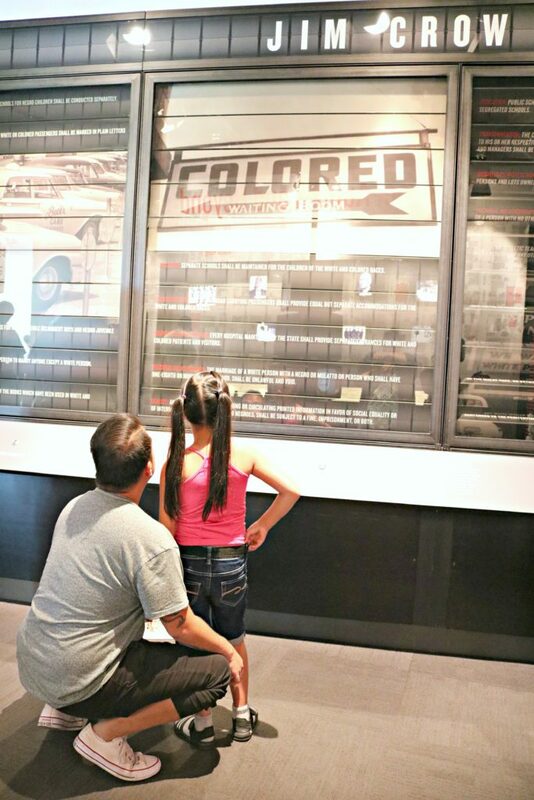 I think it was a great learning experience for my little one and we were able to have conversations about civil rights that I thought would otherwise be difficult to explain. 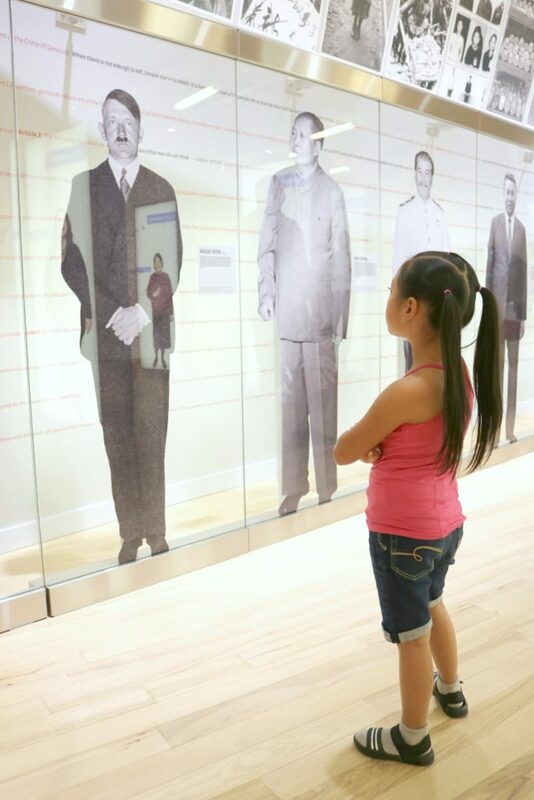 We spent quite a long time at the center and took our time while going through the exhibits. There are plenty of places to sit and reflect, a lot of videos to watch, and plenty of things to read. This was one of our favourite CityPASS destinations. 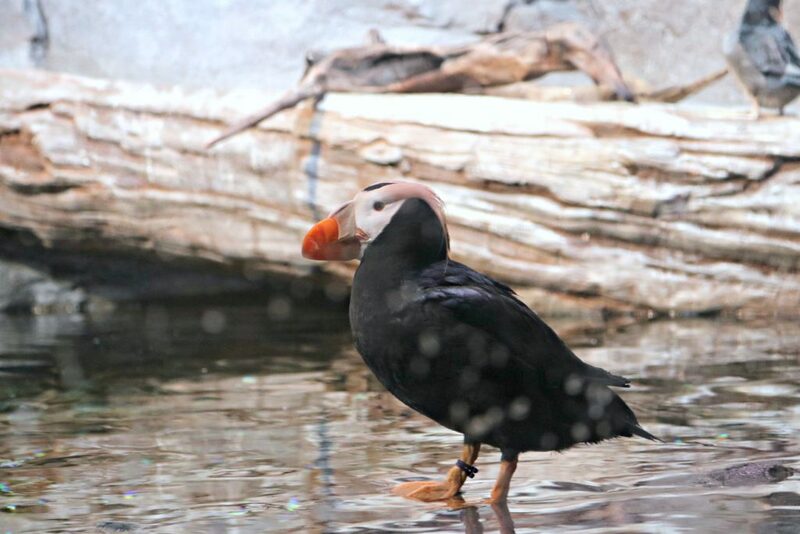 Did you know that the aquarium houses more than a hundred thousand animals and several thousand species, all of which reside in 10 million US gallons of marine and salt water? More animals can be found at the Georgia Aquarium and they are spread out amongst all the exhibits. 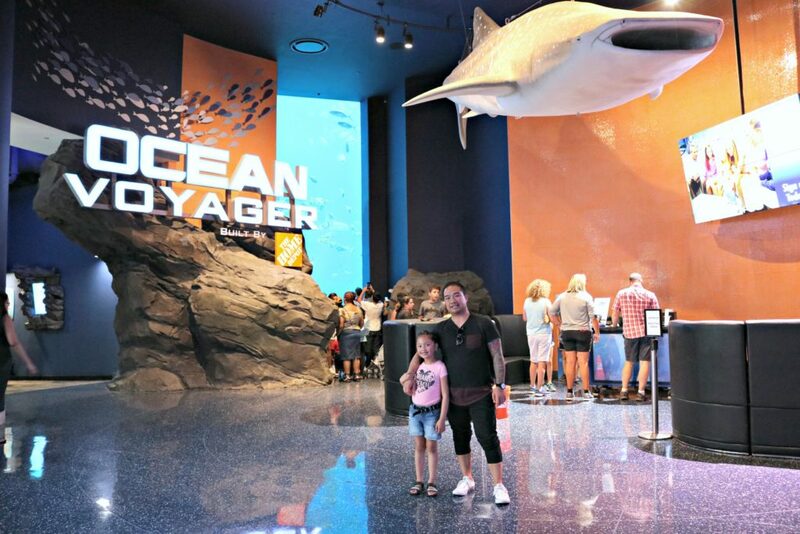 You can catch a glimpse of whale sharks and manta rays before walking in front of an exhibit filled with beluga whales and dolphins. You will want to make sure that you make the time to meet the sea lions. You can do so during the Under the Boardwalk presentation. You can watch the dolphins during the AT&T Dolphin Celebration. TIP: Don’t forget to get your hands on sea life, with help of an expert, you can touch lots of sea creatures at their touch pools. 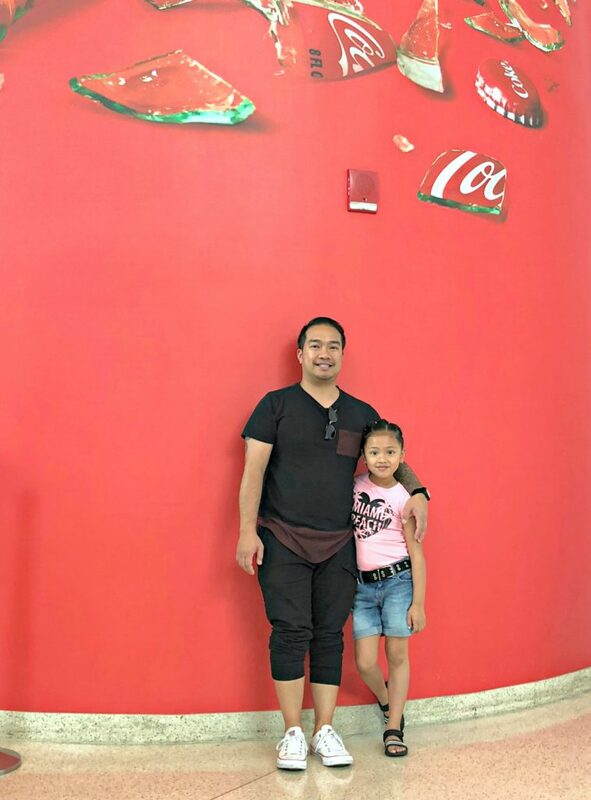 The 4D Funbelievable Theater is the perfect place for you to relax as you watch 4D movies. Although you might find yourself on the edge of your seat as the sharks swim around you during the Shark: A 4-D Experience. 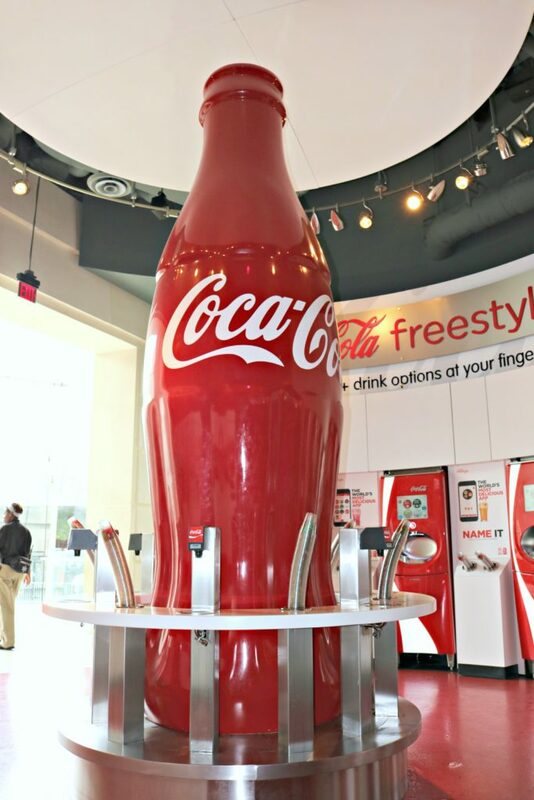 There is plenty for you to see at the World of Coca-Cola. Each of the two hundred artifacts represents a part of the last one hundred and twenty-five years of their business. You can see how the bottling process works, while you learn how the secret formula was created. 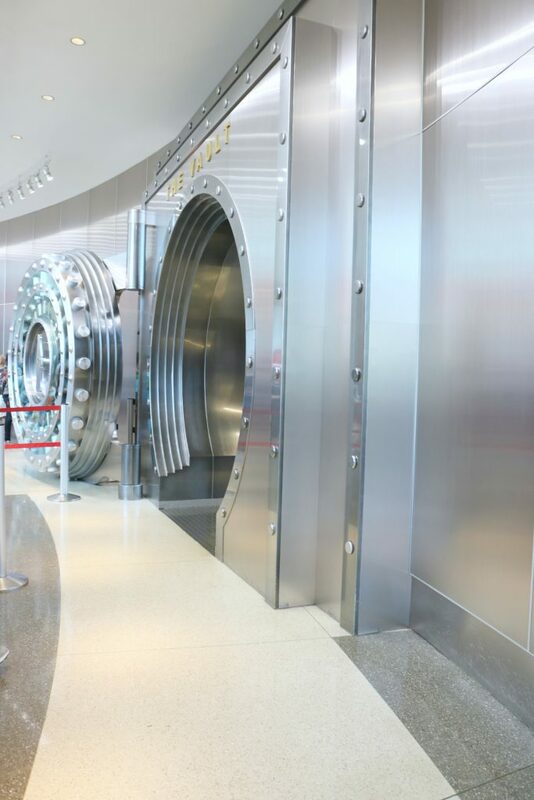 While you will not be told what is in the secret formula, you will be taken to the vault to see where it has been kept safe for all these years. The favorite part of your experience will be in the Taste It! 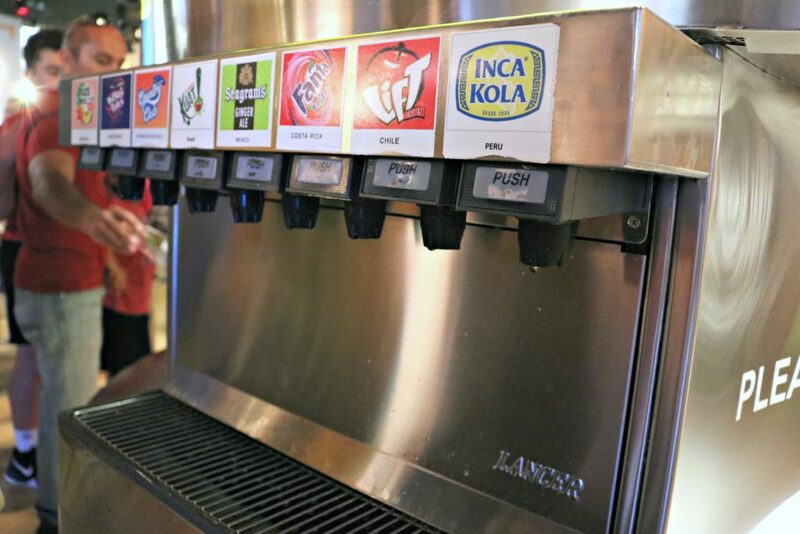 area, because you can taste and mix more than one hundred different Coca-Cola beverages from around the world. TIP: I dare you to try the Beverly and Thumbs Up! They are extraordinarily different and some people love them, while others don’t. We had a blast in this area and tried so many sodas. I was partial to the Latin American ones. Which is no surprise since I grew up drinking many of them. 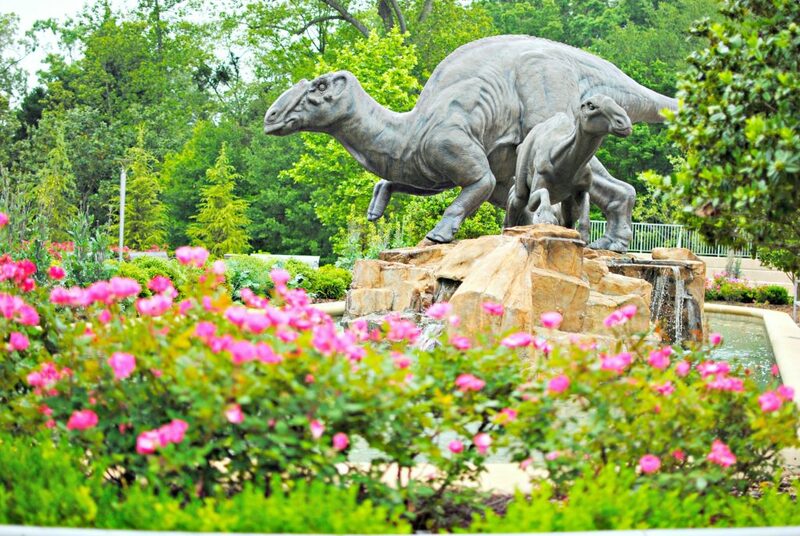 Children of all ages will love spotting the massive Argentinosaurus, which was the largest dinosaur in the world. The rest of the museum shares the history of the geography of the state of Georgia. A couple of the best features include a cave and the dinosaur gallery. Of course, you won’t be able to resist the sights and sounds within the recreated Okefenokee Swamp. They transport your mind to the outdoors. 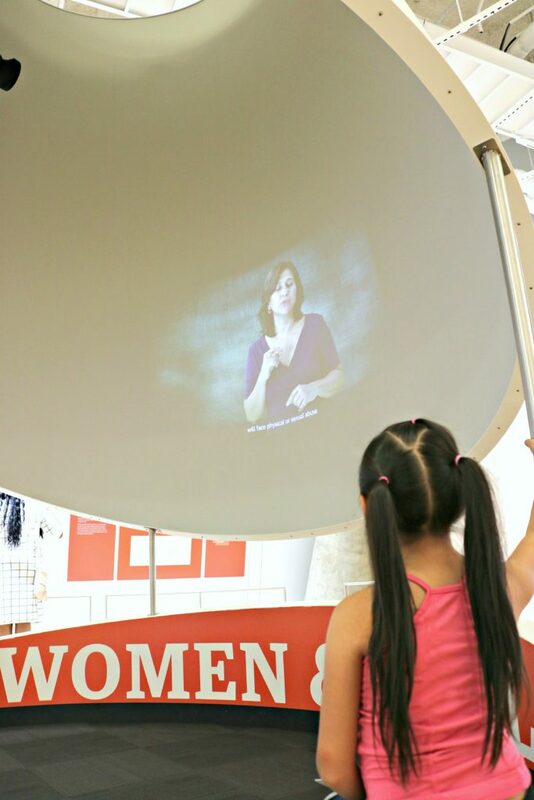 This is a very hands-on museum that features interactive displays and live animals. Your kids will have a blast, you will too! This is another CityPASS attraction that you have to choose between. Either the Fernbank Museum or the College Football Hall of Fame. It’ll be an easy choice if you’re a football fan. Start the fun by making a memorable entrance through the Entry Tunnel. 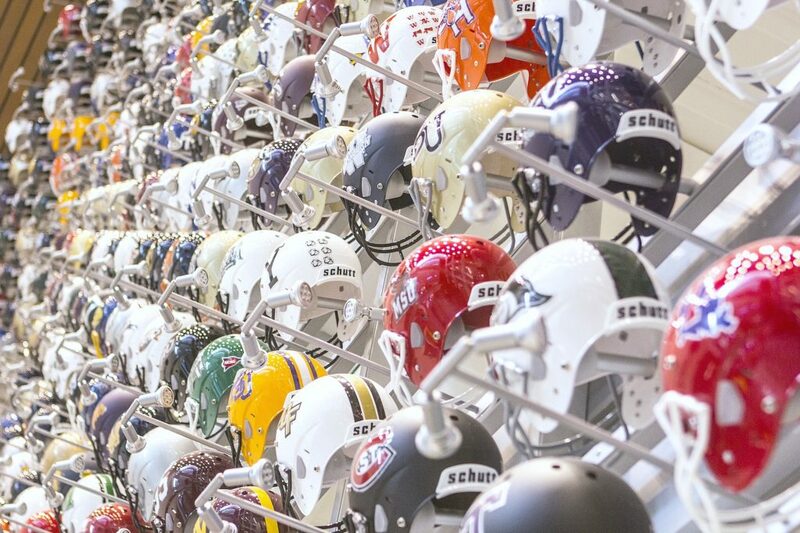 Then make sure you peep their impressive Helmet Wall, featuring helmets from all 765+ college football teams. You can get in on the action in The Playing Field, an indoor half-football field that includes a massive 36-foot high definition video board and a regulation goal post. You can even kick a field goal, show off your throwing arm, and test your agility in an obstacle course. Don’t forget to immerse yourself in a behind-the-scenes look at the game day experience in The Game of Your Life, a 4K feature film shown in the Game Day Theater. Have you ever been in a newsroom? 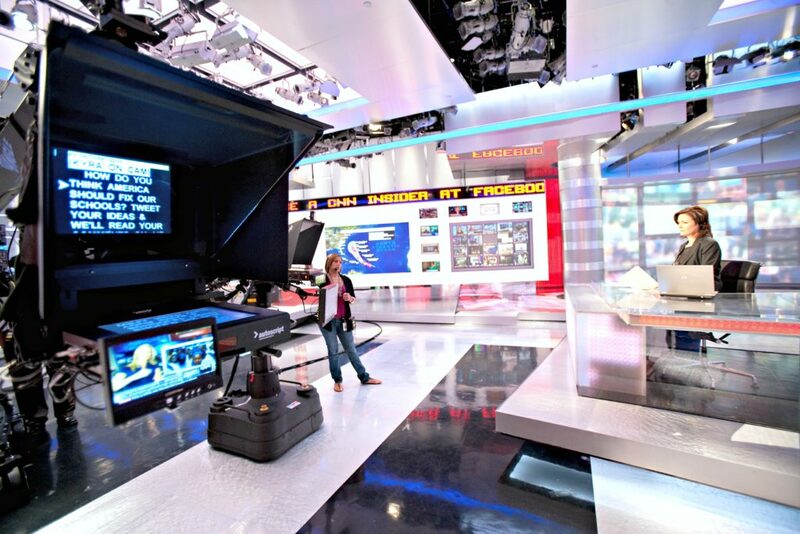 When you take this tour, you get behind-the-scenes access to the world headquarters of CNN. 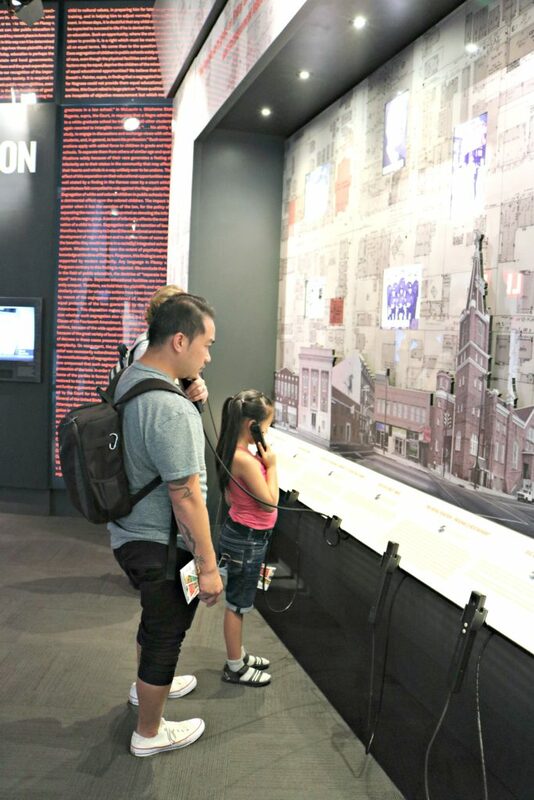 Take a 50-minute walking tour with your very own guide through the halls of the historic CNN Center. You can even get an inside look at how a live broadcast is produced and sent to viewers all over the world. Visit Studio 7E and watch yourself on the big screen as you try your hand at a “cold reading” of the news. Plus, you can ascend the world’s longest freestanding escalator. How cool is that? Also, depending on what time you are going through the tour, you may even catch a live broadcast! 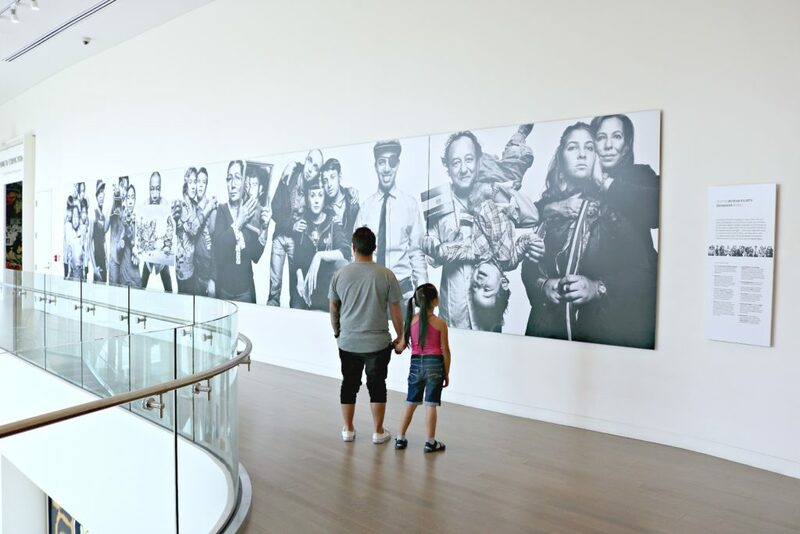 Since you are downtown already, you may want to check out this center. 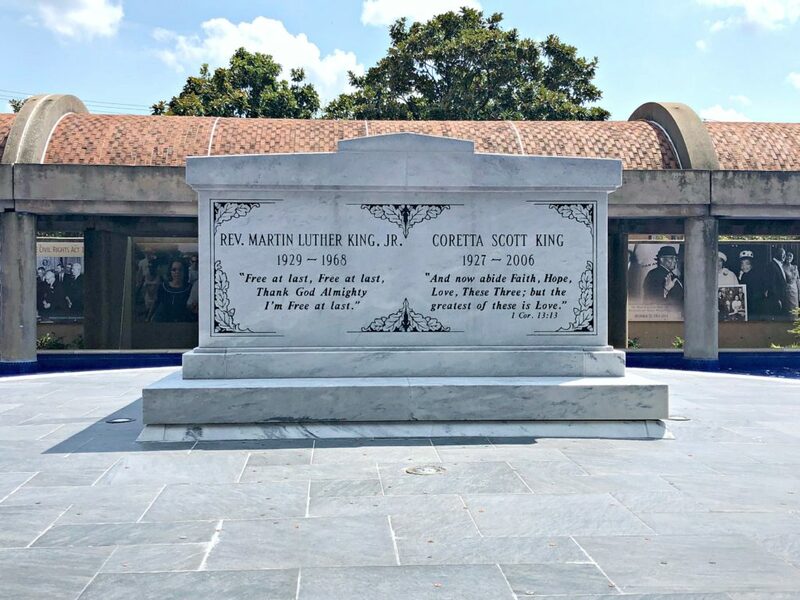 It’s FREE of charge and you can visit and pay your respects to Martin Luther King Jr. and Coretta Scott King. TIP: Check out the Ebenezer Baptist Church in the same location. 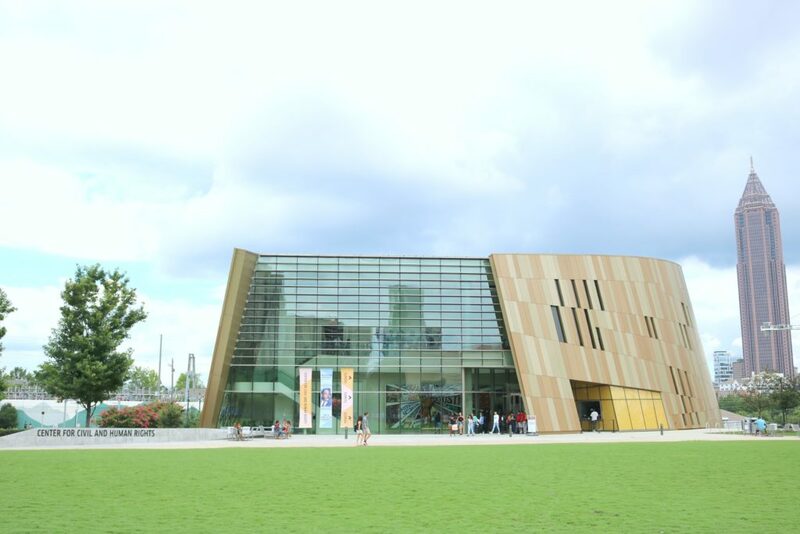 You can access the King Library and Archives in Atlanta. 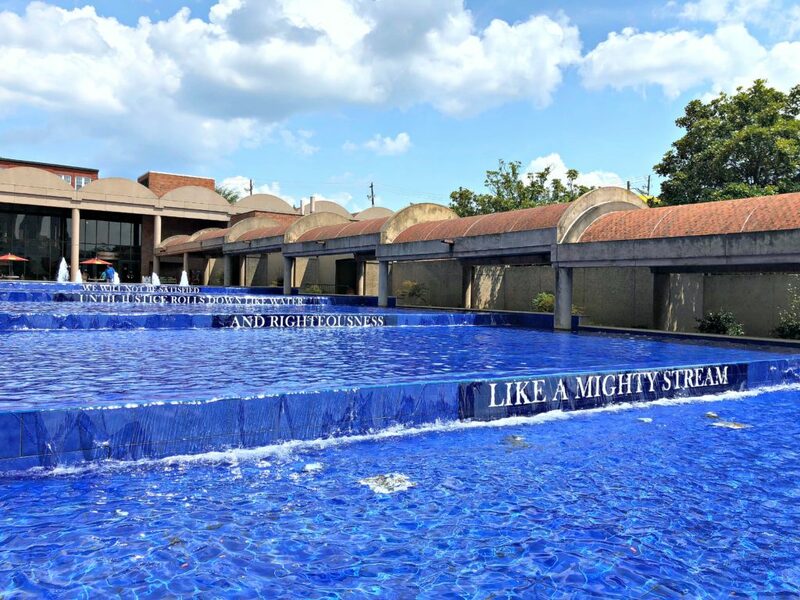 It is the largest repository of primary source materials on Dr. Martin Luther King, Jr. and the American Civil Rights Movement in the world. 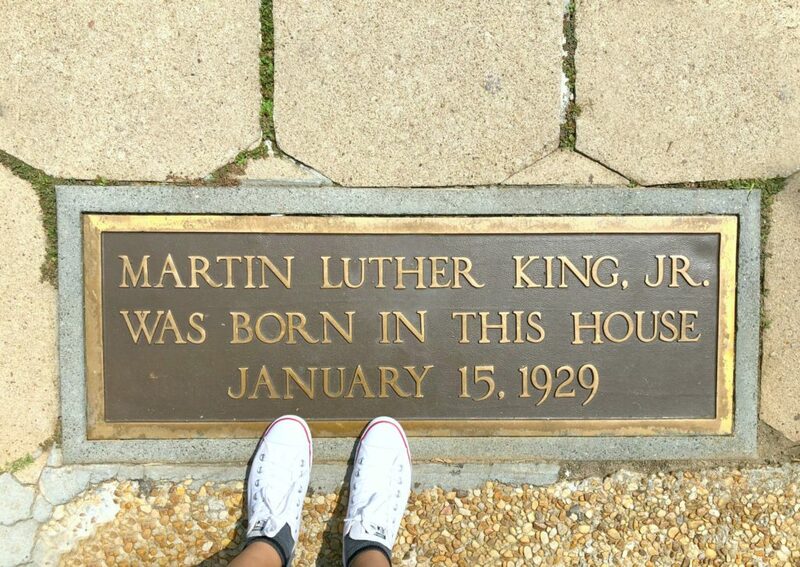 The collection consists of the papers of Dr. King and those of the organization he co-founder. 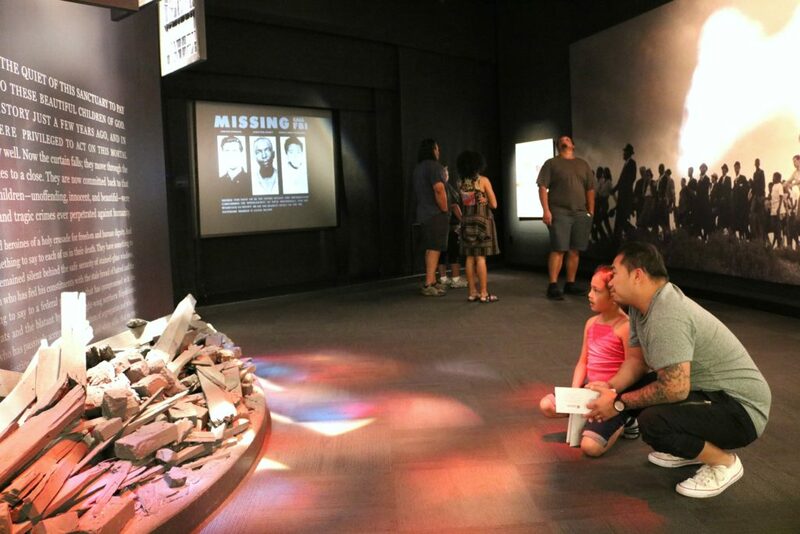 As well as the Southern Christian Leadership Conference, as well as the records of 8 major civil rights organizations and of several individuals active in the Movement. The archives also include more than 200 oral history interviews with Dr. King’s teachers, friends, family, and civil rights associates. 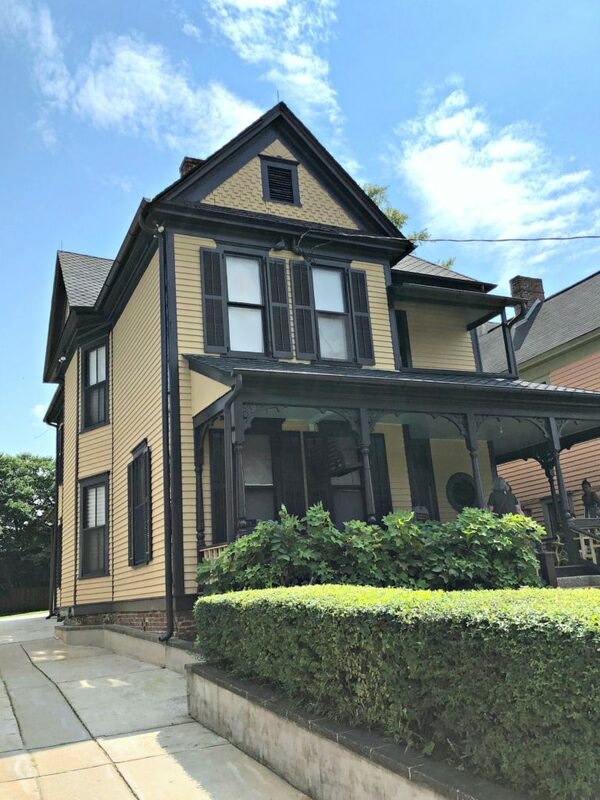 A few honourable mentions to visit after you’ve done these attractions are Walking Dead tours (go to Jackson Street bridge), Atlanta Botanical Gardens, and various film locations in Atlanta. In fact, Pemberton Place, where you find the CityPASS attraction, the Georgia Aquarium, has been home to a few films as well. TIP: Some popular shows like Vampire Diaries, Stranger Things, the Walking Dead and many more are shot in Atlanta and surrounding areas. Seeing all these top fun things to do in Atlanta will be made easier with CityPASS. Believe me, you will not need to stand in line at each of these destinations and you will save quite a bit of money at the same time. Once you have your CityPASS in hand, all you will need to do is have fun as you explore the best that the city of Atlanta has to offer! If you enjoyed this guide, check out our other CityPASS adventures in Toronto and San Francisco. Which attraction would you enjoy the most in Atlanta? Wow! Looks like a great place to visit with kids. 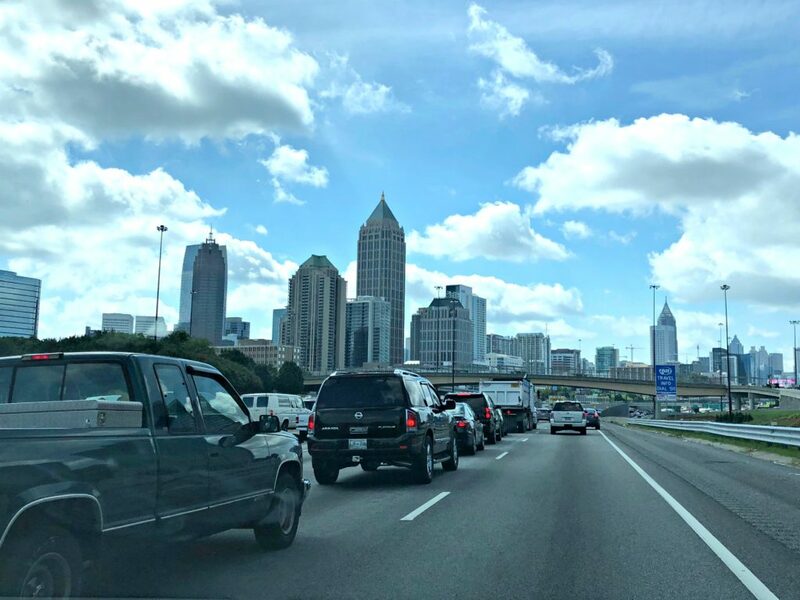 I haven’t been to Atlanta in years–not since I was a kid! 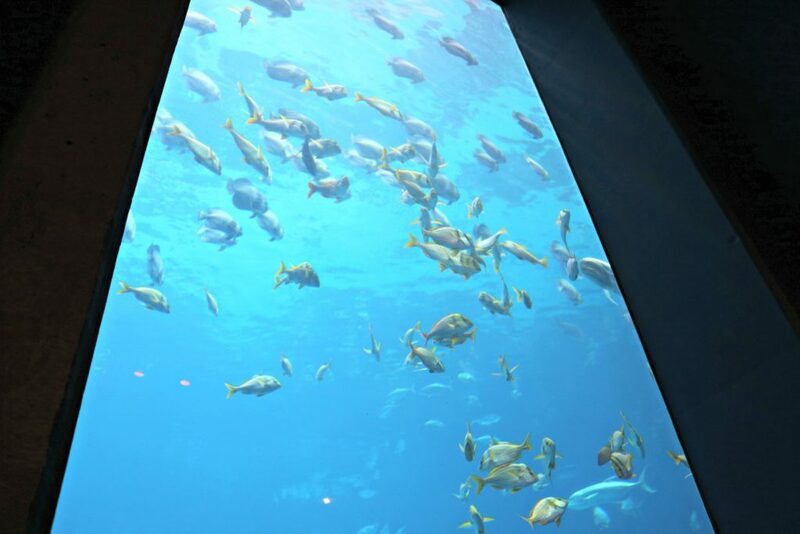 The aquarium looks amazing and I would love to visit the Human Rights center. I enjoyed both of those! ATL is one of my favorite cities to visit and a CityPASS really helps save on many of the attractions I love. We were there in December and took a youth group to the Martin Luther King Jr. Center for Nonviolent Social Change and across the street to Ebenezer Church. Hearing him speak while sitting in those pews was so powerful. Such an amazing place, that is for sure. I grew up in Atlanta, but would have no idea what to do with my kids now. Thanks for these great ideas. Wow if we ever get a chance to visit Atlanta there are tons of things to visit and enjoy. 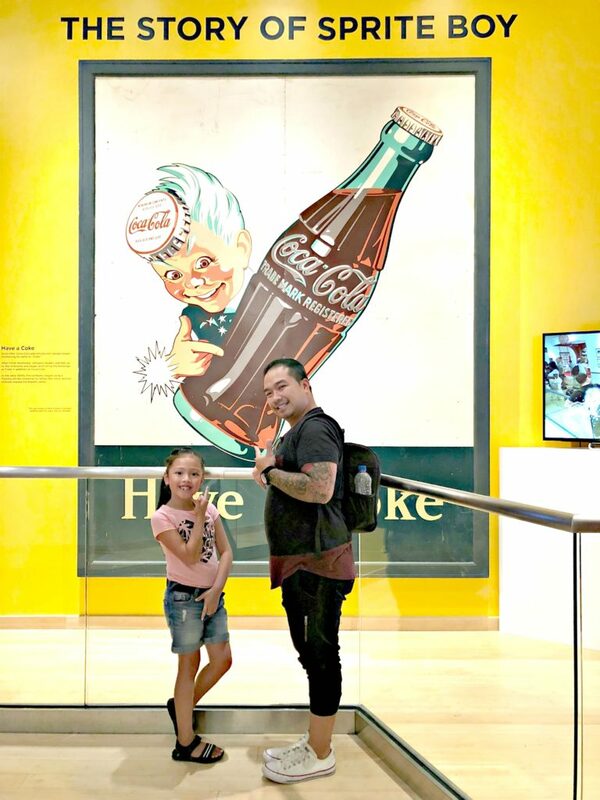 The cola museum would be wonderful to go and visit. Atlanta is high up on my bucket list. My husband has been there and keeps talking about going back, so we have to do it one of these days. Yes, it is an awesome city. I’ve been wanting to go to Atlanta! I know there is tons to see and do. 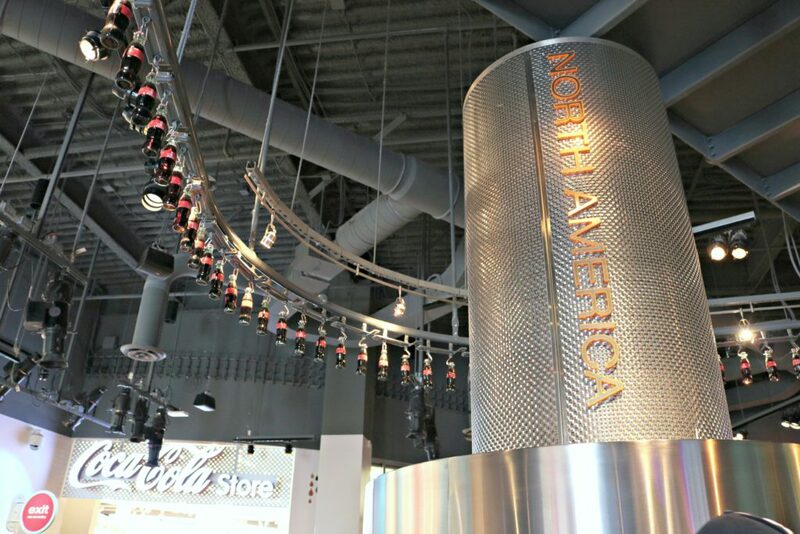 The top of my list is the World Of Coke museum since I’m obsessed with Diet Coke. I am with Coke Zero, it had to be done. These all sound awesome. We have been looking for a place to vacation and these all seem like really fun stops to make. 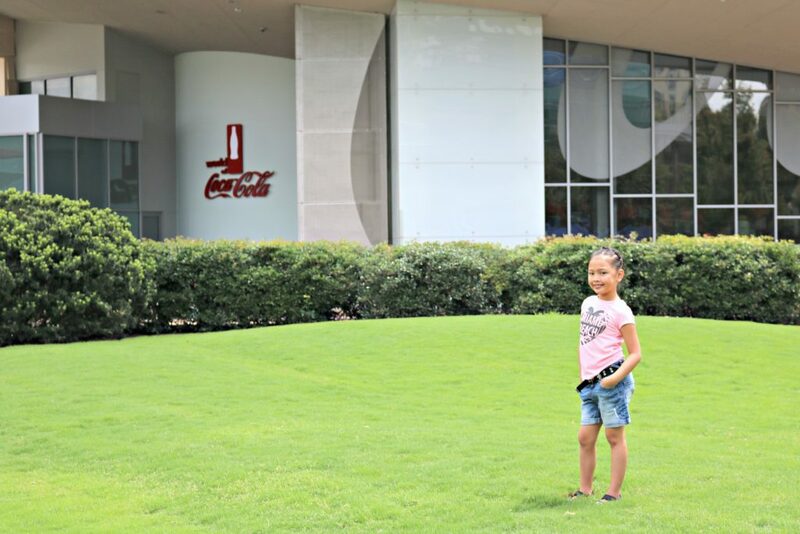 I didn’t know about the world of coca cola, that place looks fun. 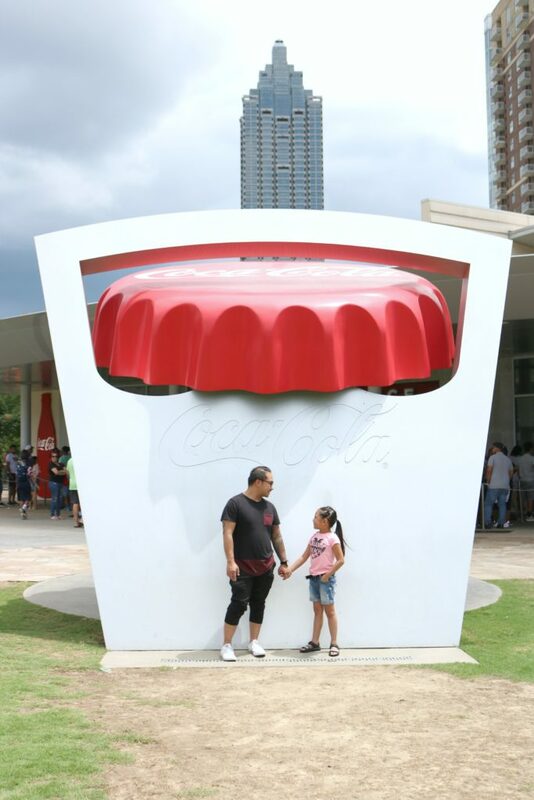 Yes, if you love Coca-Cola, it is a must visit. What a great list! I can’t wait to visit Atlanta with my family. It has been on my bucket list for so long. Aww, I hope you get to visit soon. Atlanta has always had a great deal of fun things to do. I love this list, I have a trip planned for the spring. Yay, hope you enjoy it as much as we did. Wow! 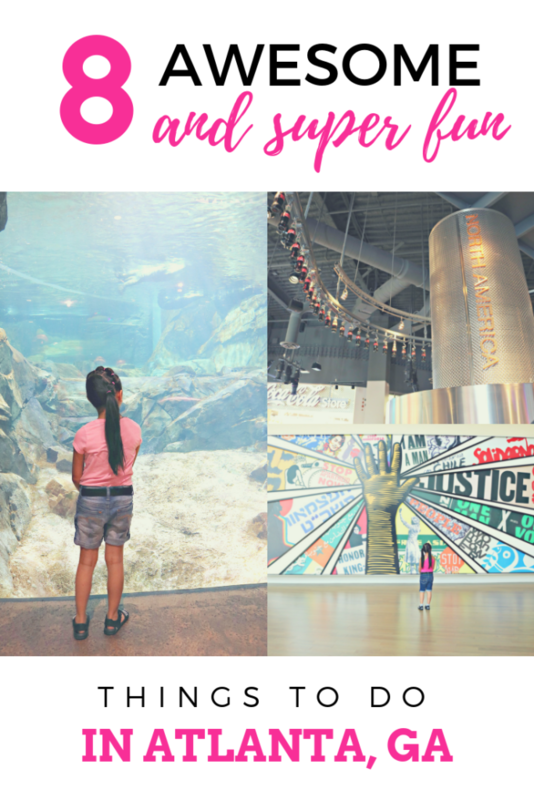 So much to do in Atlanta! I have heard the aquarium is amazing. Yes, the aquarium is awesome. The touch pools seem to be a favorite. There’s something about being able to touch the creatures and see them up really close. OMG, yes, it is so much fun. I’m loving all these photos. Looks like a blast! I’ve never been to Atlanta before. I’ve always wanted to go though. It is a great city! 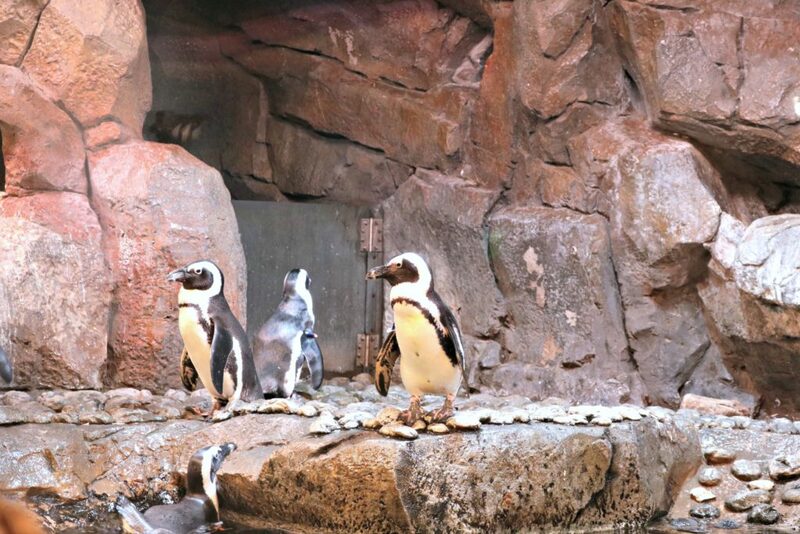 The aquarium looks like lots of fun! I’ve only ever drove through atlanta, we haven’t really explored it! Maybe you can next time! I have never been to Atlanta.. Sounds like a fun place to visit my family! I’ll definitely check out these places on next visit to GA. I really need to visit Atlanta. I’ve been out to Savannah, as I have friends that live there, but I’ve never been inland at all… Well maybe a connecting flight in ATL. It is a beautiful city. You should stop in next time. I love that there’s so much that the kids can enjoy when you take them to Atlanta. 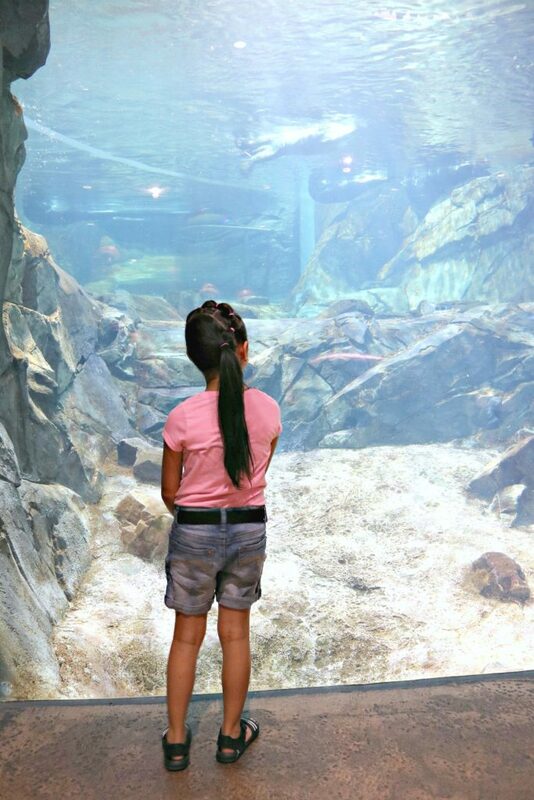 I’m loving all the zoo, the aquarium, and the museum because they won’t just have fun but they’ll learn a lot as well. Yes, it is always a blast. Even when learning. Seems to be so much fun to visit Atlanta! I am so glad that there are a lot of interesting activities and places to do or visit with kids! Yes, there is plenty to do and see. Thanks for the informative post I really enjoy it and the photos are lovely. Yes, so many places. We had a blast. I have never been to Atlanta,it sure looks like a nice spot to visit.Love the photos! Thanks, we fell in love with Atlanta. Such a beautiful place. There really is so much to do, it is a great state to visit! It is such an amazing place, a must! I’ve heard that there are so many things to do in Atlanta. It would be fun to go as a family and explore the city. It seems like there is no shortage of things to do. There are so many things to do. It is a great city!